Do you dread public speaking? Fear not. You have plenty of innate talents that may help you become an effective communicator. Effective public speaking is essential to business success. Executives must be able to deliver clear speeches that outline companies' visions and goals to their workforces. Salespeople must convey the benefits of a product or service to their customers. 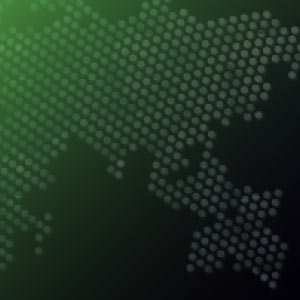 Employees have to be able to deliver crisp presentations at company meetings or conferences, communicating on a host of topics from the corporate benefits plan to major changes in IT systems. No one would deny the paramount importance of effective communication -- but not everyone feels like they are blessed with communication talents. In fact, 40% of U.S. respondents to a Gallup Poll report that they fear speaking in front of an audience. (More Americans dread public speaking than going to the doctor, which was feared by only 9% of respondents.) Nonetheless, many jobs require delivering presentations to large or small audiences. For all of you who dread public speaking or feel you aren't terribly good at it -- but must do it anyway -- there's hope. Let me tell you about Sam. Sam is a technician-turned-trainer who shows customers how to use the devices developed by his company. He loves working with customers rather than just doing technical work, so he has long known that he must become more effective at communicating the message he is trying to teach in a way that makes sense. The problem is that Sam struggles to get his point across, not only in meetings, but also in the one-on-one conversations that are a crucial part of his role. Sam used to feel like his customers were simply "putting up" with his presentations and that they weren't thrilled to have to sit through them. To improve his public speaking, Sam attended communication workshops, which he says were marginally effective. They helped somewhat, he admits, but he also says that besides a few useful tips such as "Stop every two minutes to ask if the client has any questions," the communication trainers were basically asking him to "just try harder." Then Sam took the Clifton StrengthsFinder, a 180-item online assessment that reveals the user's top talent themes from a taxonomy of 34, including Achiever, Empathy, and Strategic. 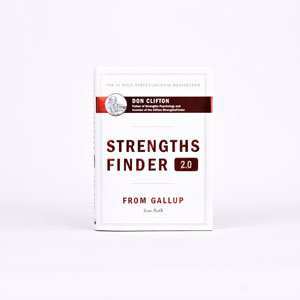 The Clifton StrengthsFinder helps people identify and understand areas where they have the most potential to grow and excel. The theory behind the assessment is that the better people understand their talents, the more they can take control of the situations they find themselves in and navigate those situations effectively. Sam discovered that some of the talents that seemed to be essential to communicating effectively were not in his top talent themes. For example, a talent theme known as Communication, which can represent the potential to be effective in communicating thoughts and ideas to others, was far down on the list for Sam. In a session that focused on helping him understand his Clifton StrengthsFinder results, however, Sam learned not to dwell on what was further down on the list, but instead to think about how he could use talents from some of his top themes to communicate more effectively. For instance, two of Sam's top themes are Discipline and Context. People with exceptional Discipline talents tend to like routine and structure. People who enjoy thinking about the past and seeking to understand the present by researching its history are exhibiting Context talents. But what do Discipline and Context talents have to do with communication? At first glance, maybe not much -- and certainly not as obvious as Communication talents. But a strengths performance coach helped Sam figure out how to apply Discipline and Context talents to help him communicate. First, Sam used his Discipline talents to create a detailed and organized profile of each customer. Then he used his Context talents to learn as much as he could about a customer before delivering a presentation. This helped him understand how the product he was explaining during a presentation fit into the recent history of the customer's business. Rather than simply droning on about the product's features and benefits, Sam was able to make his presentations relevant to customers' specific needs and concerns. Simply put, Sam leveraged talents from two of his top themes to become more customer-focused. He will never be a "star" public speaker, but his careful attention to the details of his customers' business has enabled him to connect effectively with customers and has helped make him a more compelling presenter. What's more, Sam has reported a significant change in his customer conversations. He now feels much more at ease, and the flow in his discussions with customers is more natural. Sam has stopped trying to be someone he isn't and has started focusing on becoming more successful based on who he is. He also says that while he used to be the one calling his customers, "Now my customers call me more often to ask questions, get advice, and -- believe or not -- sometimes they just want to chat." In his own way, through his own talents, Sam has become a great communicator.